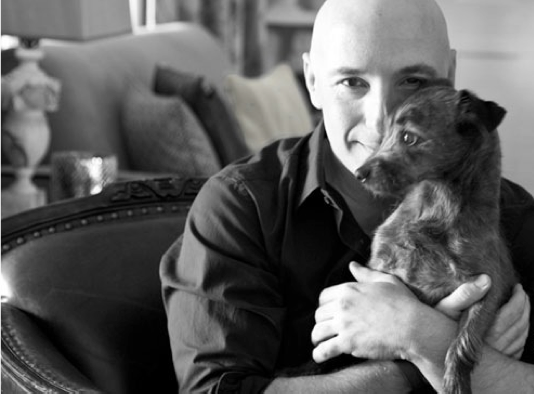 If you have followed the blog, you know my Greek Leprechaun story. If not, it's HERE if you're interested. I love green. I think the color is soothing and goes with anything. Yes, anything. 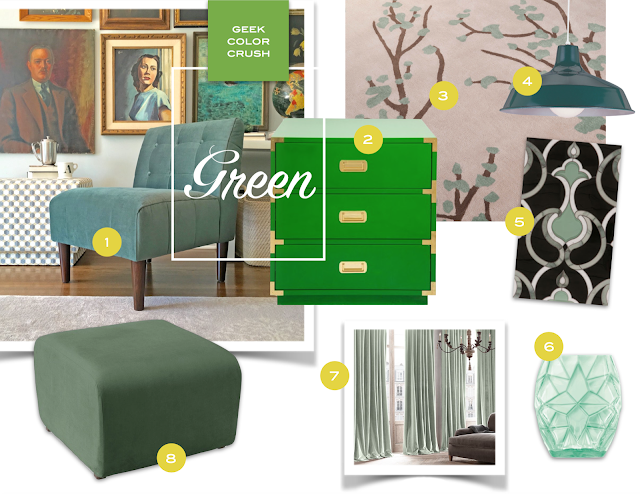 So in the spirit of glorious greens everywhere, here are just a few of the things that have the emerald hue that I'm totally crushing on right now. BTW, editing this list from the original 20 items was a cluster! Maybe I'll do a part 2 and 3 at a later date...if the leprechaun is feeling up to it. Our new upholstery line is made in my hometown of Illinois! How crazy awesome is that? 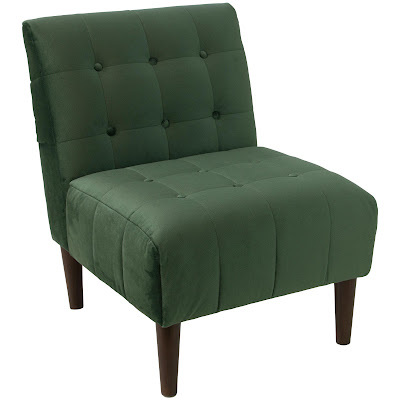 This new accent chair is all hand button tufted goodness in the most soft, velvety jade green. I have one in my office. I love it! It's $399.99. Shop the Look HERE. 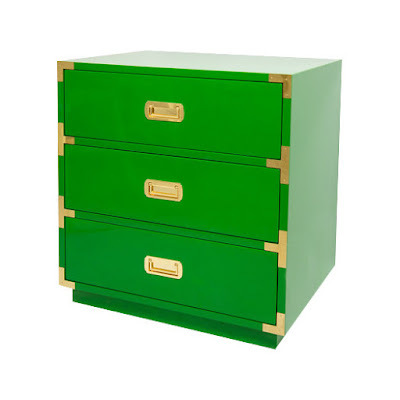 It's pricey, $848.99, but it's such a color statement piece. 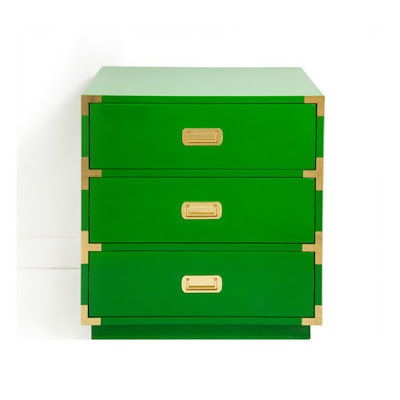 This color is gorgeous and if the budget allows...a pair would make the most stunning bedside tables. You can Shop the Look HERE. 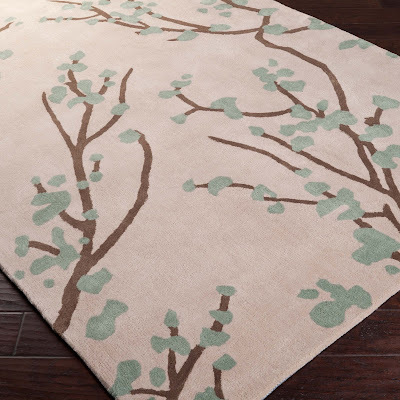 I designed this rug to be a great way to sneak in a little color and movement into a room while still keeping things neutral. Plus, it reminds me of Spring in Chicago. Shop the Look HERE. What can I say? It's simple. It's practical. 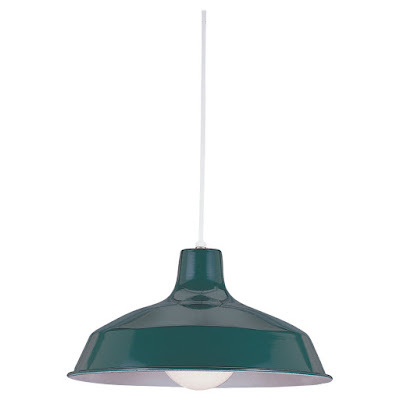 It's affordable and it looks great over a sink, as lightning above a kitchen island (a few of them in a row would be swell), or in a laundry/utility room. It's currently on SALE for $79.90. Shop the Look HERE. I'm a sucker for tile. Tile and wallpaper. 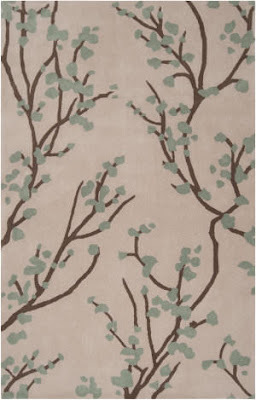 My wallpaper choice didn't make the cut this time around due to lack of space, but this tile...c'mon! The picture doesn't even begin to do it justice. It's brilliantly stunning. Check out all their styles/color and Shop the Look HERE. 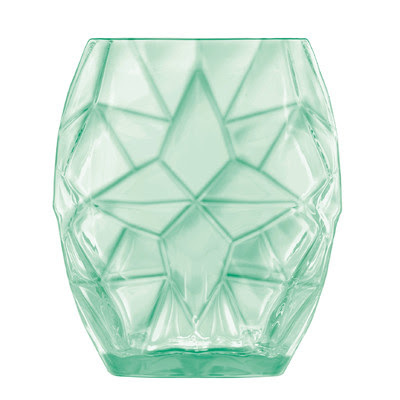 These unique glasses are made in Italy of break resistant glass. Their dishwasher safe, lead free and groovy looking! They come in three different color choices and are sold in a set of four for $39.99 Shop the Look HERE. 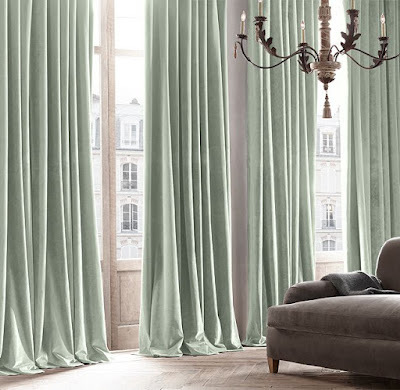 These luxurious velvet drapes are ultra soft and rich in color. They are woven by a 200-year old family company that specializes in velvet. Prices vary depending on size. Shop the Look HERE. 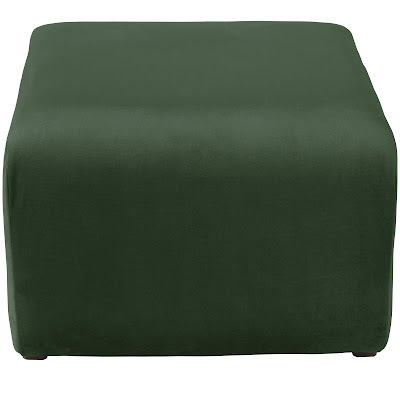 The perfect companion to the jade velvet accent chair, or as stand alone. 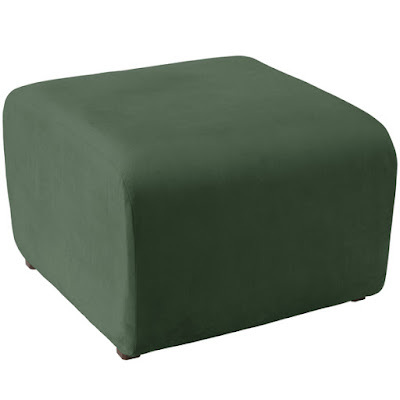 It can double as extra seating or add a tray and it becomes a coffee table. 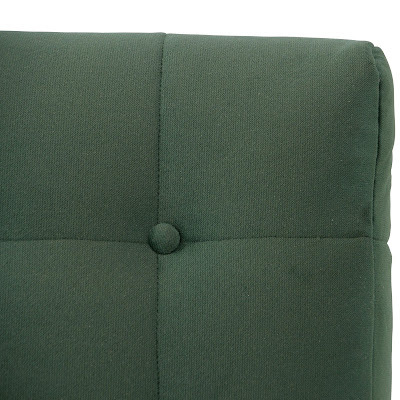 Like it's chair companion, it's also hand crafted in Illinois by a family company that has specialized in upholstery for 70years. 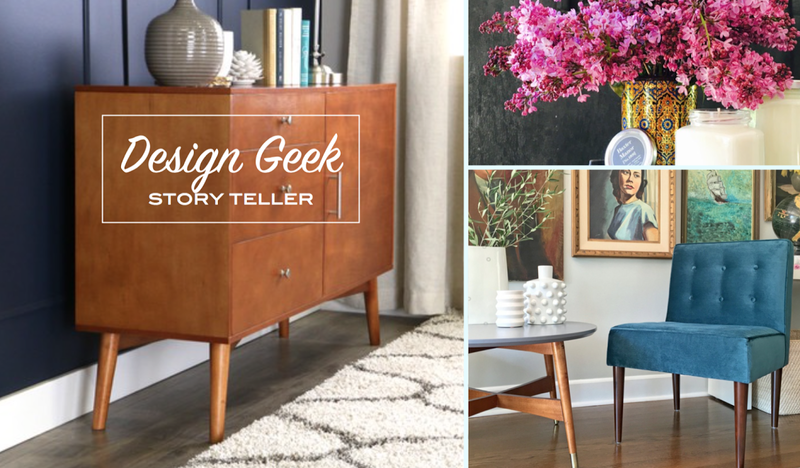 Shop the Look HERE. Why constrain yourself? I'm remembering a post you did some years ago about white and blue and purple -- or was it grey? -- that you illistrated with, I believe, 72 images! Beth- You are correct! Screw constraints...let the images flow. Was that Leviticus, or was it Shakespeare? I trust you with these things. Oops! Typo! Illustrated! Damn tiny keyboard! I vote Shakespeare. I am an anti-expert when it comes to the Bible. 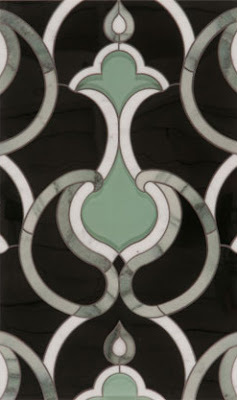 Beth- That tile is ridiculously gorgeous!